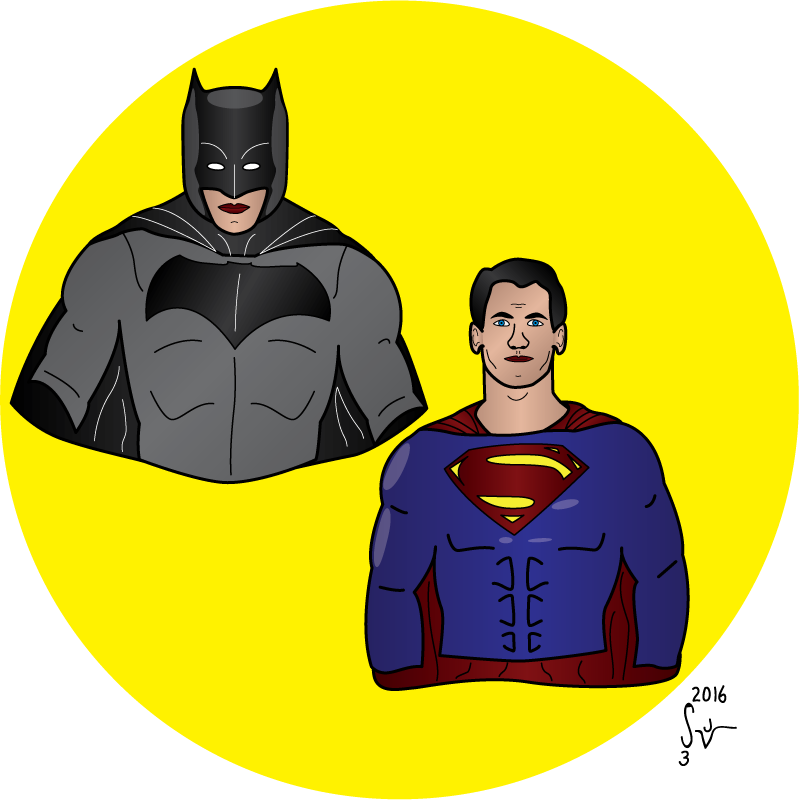 As I mentioned when I posted my recreation of the Batman v Superman: Dawn of Justice movie logo the other day… I went back and made those cutouts around the “S” shield full cutouts so that the logo can be used on any background, and not just a black one as I had originally done. With this updated version, on a white background, you can more clearly see how the “S” shield is formed within the bat symbol. The more I kept looking at it, the more interesting it became. Speaking, of course, of the logo from the movie posters for Batman v Superman: Dawn of Justice. For some reason, and on not much sleep, I decided late last night to tackle this… so tackle it I did! 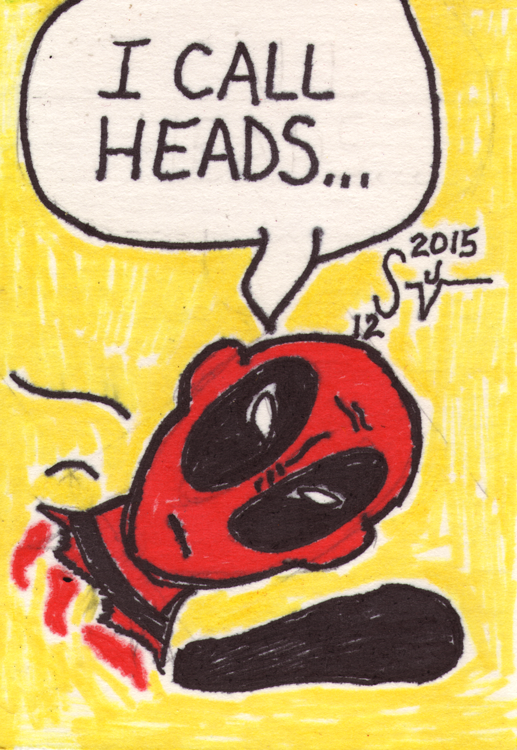 As I was drawing this, I was having a hard time visualizing everything that was going on with that “S” in the middle. For some reason I couldn’t wrap my brain around it after staying up all night… but I kept methodically plodding along until it felt finished. When I woke up this morning after about 8 hours of sleep, and looked at this again, I was pleasantly amazed at how I now easily understood the construction and that somehow I had managed to capture it correctly with my brain on autopilot! The only thing I didn’t do… that I might do later… those cutouts for the “S” in the middle aren’t really cutouts. It all looks better with black behind it, so I did it that way… but in truth, these should be cutouts so you can see through them to the background behind… whatever that might be. I’ll probably tweak it and make a version with true cutouts later just in case I need it for something else. Let me know what you think and remember, if you’d like an original commission by me or would like to hire me as an Illustrator, please use the Contact page and let me know as much as you can about your request. So… there’s a new movie in town… Batman v Superman: Dawn of Justice. Some people like it, some people hate it. I haven’t seen it. I tend to not see movies until they hit satellite or home video. That’s how I roll! But I was inspired to create a little thing here. The characters are based on some movie stills of Henry Cavill as Superman and Ben Affleck as Batman. I was really only interested in doing bust drawings, but I went a little farther… Look ma, no hands! 🙂 Oh, and I realize Wonder Woman and a few other characters are also in the movie… but it was going to get complex fast if I drew everyone, so I just went with the two primary characters. Maybe I’ll draw Gal Gadot’s Wonder Woman as her own picture at some point. It’s all digital, vector art… from start to finish. No preliminary sketches this time. I didn’t time anything, but it felt like it all came together pretty quickly. Either I’m getting better at this OR worse at keeping track of time! I think I generally captured the look of these recent movie versions. I probably could have worked a little more on the faces… especially the mouths and Superman’s nose… but I think these mostly do the trick. Let me know what you think and remember, if you’d like an original commission by me or would like to hire me as an Illustrator, please use the Contact page and let me know as much as you can about your request. 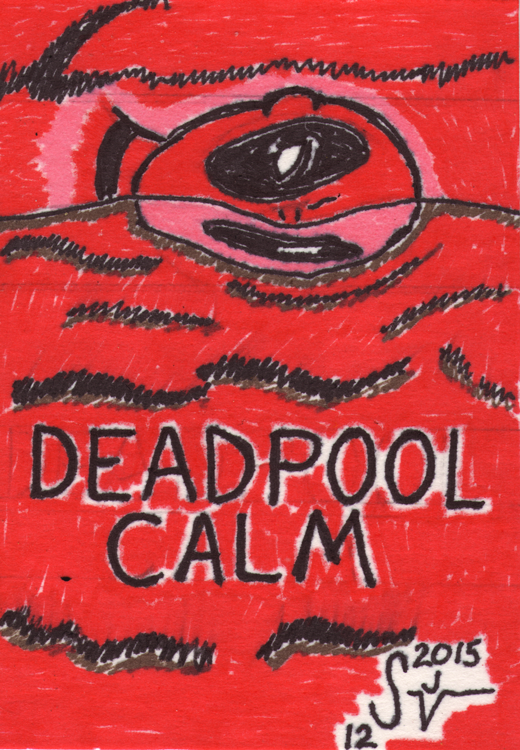 So… there’s a Deadpool movie. You probably know about that. It’s also Valentine’s Day tomorrow… You probably knew that too. But what happens if you combine them? 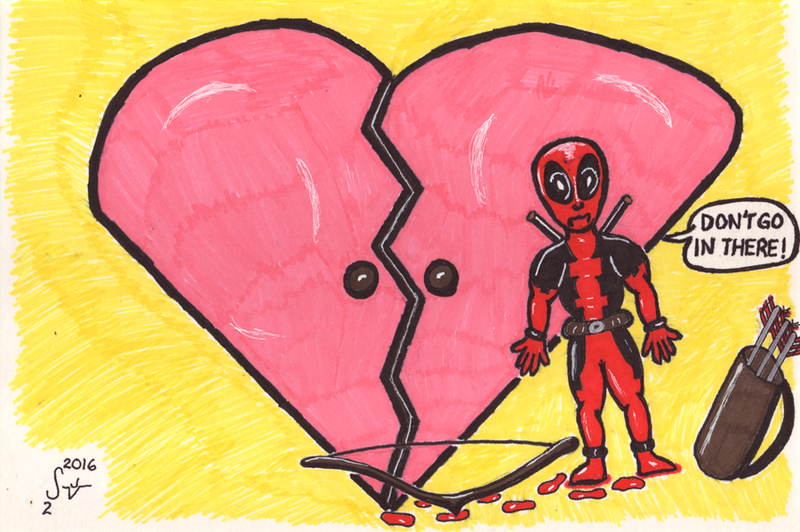 I didn’t scan in a rough-sketch image this time, because I kind of alternated between sketching in parts of this and inking them… so, for example, I sketched then inked Deadpool first… then the bow and quiver, and then the doors in the background. I’m not sure why I did it that way, as opposed to a complete rough sketch before beginning inking… but there you go. Whenever I do something like this, as I’m finishing it I start thinking how it would look cleaner if I digitally inked and colored it instead… but then I wouldn’t have a piece of original art in my hands. I would also lose a little of the organic feel to the lines that I get from hand-rendering. This particular gag wouldn’t suffer either way, but sometimes the too-clean digital rendering actually distracts from the funny. At least it seems like it to me. Let me know what you think, and remember, if you’d like an original commission by me or would like to hire me as an Illustrator, please use the Contact page and let me know as much as you can about your request.